If there’s one thing, Death is a reality. And Pain goes along with it. And man, this Life is going to hurt, it will really really hurt. And you’re not going to be okay. Because Death is not okay. Lately there’s always been news about sickness and dying of sickness and funerals. To be honest, funeral is the last thing I ever wanted to go to in this lifetime. Well, no one ever wanted funerals. No one ever wanted to die or let someone they love so dearly be snatched away from their fingertips. No one ever wanted to experience loss because losing someone can be unbearable. I cannot imagine the pain it takes to realize that you cannot hold that one person you’ve been with your whole life anymore. The word painful cannot even delineate how death can leave a hole in someone’s heart. Any other word cannot even. I’ve been in the sidelines of watching a friend after a friend sticking out the courage to fight with their parents who’s suffering from this villain called Cancer until it was proven – time and again – how human efforts can only do so much. Sometimes nothing’s ever gonna be enough to stop cancer from taking away someone precious. It breaks hearts and hearts that hope for healing. It shutters bones that stand strong amidst continued beating. It brings despondency to the eyes of someone who used to be only consumed by fire but not anymore because flame was put out because of tears. Cancer has its ways to creep into your lungs until your gasping out of air even if you’re not the one caught by it, even if you’re just battling it with someone who you’re holding on to because you don’t ever wanna let go and give up on the people you love, right? But Cancer or any other disease can disregard all of your fighting fuel. Really, it will just give it a cruel go and let death happen. And then that’s it, it ended someone’s life. And you’ll feel as if you were taken along. We’ve been so used to this line. We know it is written in the Bible. We use this as an encouragement for every downcast soul we meet; believing that everything happens for a reason, knowing that the God we serve is a big God, much bigger than our circumstances. But there might come a time when we will be filled with doubt and our confidence to this truth will be shaken. And when it happens, I hope we pour out all our burdens, questions, longings and desperation in a To Be Honest, God barrel and hold on to it no longer. Carry it no longer. Because that’s the beauty of Life. That though it hurts, we can call out for help. When we are in pain, when we are down and hopeless, when we are in fear and we feel too much, when we meet Death in the eye threatening to take anybody we love, we can cry out an honest cry to the Lord and He’ll hear our broken voices and wounded hearts. And when time comes that we lose a battle with life, when death wins, be still and know that it’s not the end. 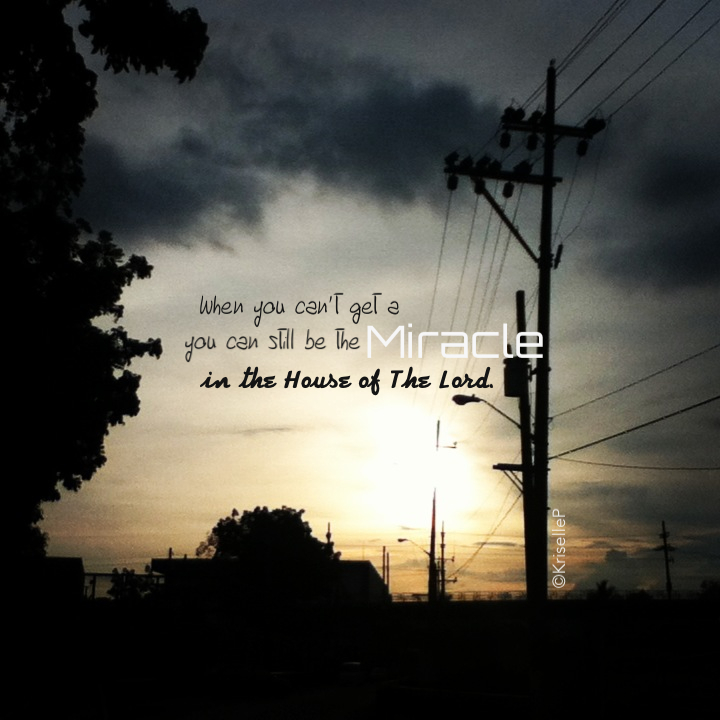 That the moment we chose to surrender everything, the moment we chose to believe in our Savior Jesus Christ, the moment we chose to lay all our encumbrance at His feet, that’s also the very moment that we are carried and enveloped in His arms. The enemy may bring excessive pain or sickness or death in this life but our Savior cannot be held down by such things. It holds no power. We may be lonely because we are the ones left. And we’ll probably miss them terribly everyday. And sometimes mornings may not seem like a good one because it’s not the same anymore. We cannot see them anymore, or smell them, or touch them, or tell them our usual banters, or feel them. We cannot spend any more time with them because time was already gone. It’s not the same. Someone we dearly love is gone. It’s never gonna be the same. But the sun still rises. And the sun still sets. The moon still glows. And the stars still shine. Time will keep on running. And there’ll be a day like tomorrow. There’ll still be weeks. And months. And years. And sometimes it will still hurt. And it’s okay because we still have God. And our God understands. To be the one who stays at the moment means we still have a lot to accomplish. We have a purpose. We still are to make a dent in this universe; leaving it like it was never left before. One day, we will unite in the heavens and our hearts will fill with joy as we revel in each other’s presence again. And there’ll be no pain, no sorrow, no tears. But for now, while we travel and feel the Earth with our hands, we go on. We move on. We get molded and strengthened and made new each day. We have battle scars to show up what’s having faith looks like. Lately, things keep blowing in front of our face. Reality is stinging every corner of our minds. We thought we know how the world works like the back of our hands, but, do we really? Everything is fast-phased. It’s like we’re all in a bullet train. All we know is evolving in a snap — technology, communication, relationships, culture, faith. How do we define choices? What constitutes our beliefs? What do freedom and equality really mean? Why are we keep on accepting the behavior that this world keeps on imposing unto us? Is it absolutely okay to tolerate ideologies just so we can say we are accommodating to everyone’s perspectives? Who’s to say who’s right and who’s wrong? Why are there so many questions and why can’t we find an answer? There’s something wrong in our world today; there’s something terribly wrong that’s happening. And I cannot, for the life of me, understand how will I properly respond to this. I never wanted to cast judgment on the way people deal with their life choices because I am never worthy to do so; I am a messed-up person myself. But it seems like this world is telling us that everything is okay as long as you’re happy and you’re true to yourself. What kinds of standard are we living in today? It pains me to see the picture that we are all living for the sake of ourselves — for our own rights, for our own happiness. We are nearly living in a Love-Only-Yourself kind of World, a Selfie (selfish) Generation. It’s all about us now, isn’t it — what we want, we should get. Is that all there is to live? For people to know how great we are? How amazing our talents are and the things we do? How we can bend the rules and break them just for us to do the things we want to do? Really? That’s life? That’s what we call living to the fullest? NO. There’s more to life than just us. There’s more to life than all these — pleasures of the world we believe we must possess. I want you to know that Happiness is different from Joy. Doing what we are ought to do will always be worthy than doing what we want to do. And that our choice is always important. Please don’t be deceived that you don’t have any control as to what and how you are going to feel; it’s not true. Saying that you don’t have a choice is like you not owning up to any consequences of your actions. Be man enough! Stand by your choices! I can only hope that you are choosing the right ones. But if you find yourself stuck in a mistake, you can always get out. Please choose to get out. This world is ever-changing. This world could easily die to the standards that we people regard as virtue back then. But that doesn’t mean we should die with the world. We believe in God, right? He gave us an example to follow. And yet the freedom to choose what we do with our lives is in our hands. Live high. Live mighty. Live righteously. Last Saturday, I was able to witness a living miracle inspiring hundreds of thousands of people all over the world and it was just so amazing to hear him speak live before my eyes. A man of faith, Nick Vujicic, was born with no arms and no legs but that “limitation” did not stop him from being unstoppable for God. At age eight, Nick shared, it was very difficult for him to understand why God did not give him what every other people has. He was so confused and devastated, asking God that if He truly loves him then why did He made him with no arms and no legs while every other kid in their school has their arms and legs. There were lies, he said, that crawled at the back of his mind. Lies like: he will never ever walk or run, he will never have a family of his own, he will always be alone, he will never hold someone’s hands or carry his own son. At age ten, he wanted to end his life and all his sufferings but one thing had stopped him – his parents. All his life he only felt love and support from his parents and siblings that he couldn’t bear to see them crying on his grave, hurting, just because he gave up. Nick chose to believe the Truth. He chose to believe the Word of God. And God gave him peace. At age fifteen, he encountered a story in the Bible where Jesus was asked by this person why injustices, sickness, bad things are happening in his life; that’s when Jesus answered that those things are happening so that the world will know how God will work on his life. See, Jesus don’t give us bad things; that’s Satan. But our Lord won the battle, He won the war. He met Satan face to face and Satan has nothing on Him. Satan may come to steal and destroy but Jesus comes to heal and restore. If we only give our lives to the Lord, He will always be there for us every step of the way. There may be circumstances that would make it hard for us to understand yet our focus, our Hope, should be in God. 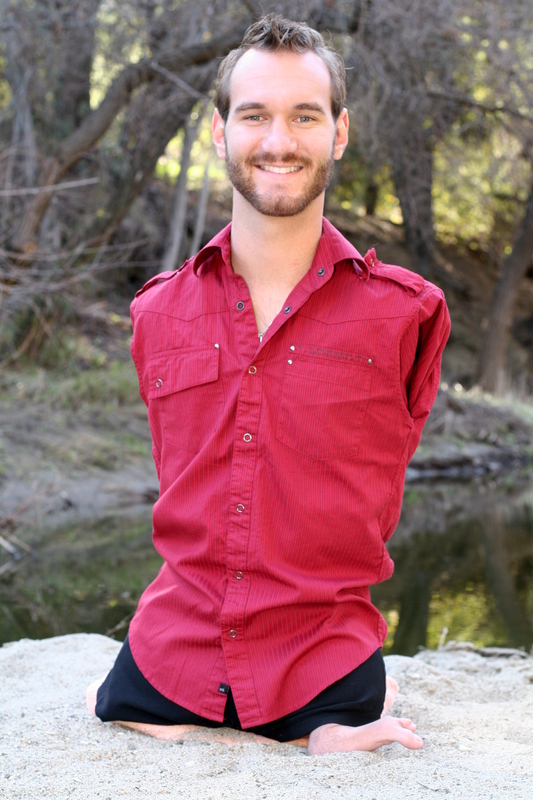 Nick kept praying for arms and legs but he came to the understanding that God has the best plan for his life. Who needs arms and legs, he said, when he is flying with the wings of the Spirit. “It’s very tempting to be jealous; it’s very tempting to see what everyone else has. Did my circumstances change? No. What changed is my heart. Arms and legs are not happiness. The greatest things in life are not things; any pleasure you can see, touch or hold is only temporary. Can I smile? Yes. But does that mean that I don’t cry? No. But even though I walk through the valley of shadow and death, I can smile. Brokenness is brokenness; but, don’t let brokenness define your future. Don’t let your circumstances define your joy. What are we waiting for? Let’s put our faith in action. Should bad things happen to us, it is never the end. Our faith is unstoppable because we have an unstoppable God. You know the paradox of a Christian life? You give and it will come back to you. You surrender so that you may have. You die so you live. It will never be an easy life but I loved that no matter what we’re going through, somewhere along the line, if we truly lay it down at the foot of the cross, it could be used by God so that others may know His goodness and mercy? Amazing, right? If God can use someone with no arms and no legs, I’m sure God will use us too, God will use you. Are we willing to be used by God? Grow deep in the faith. 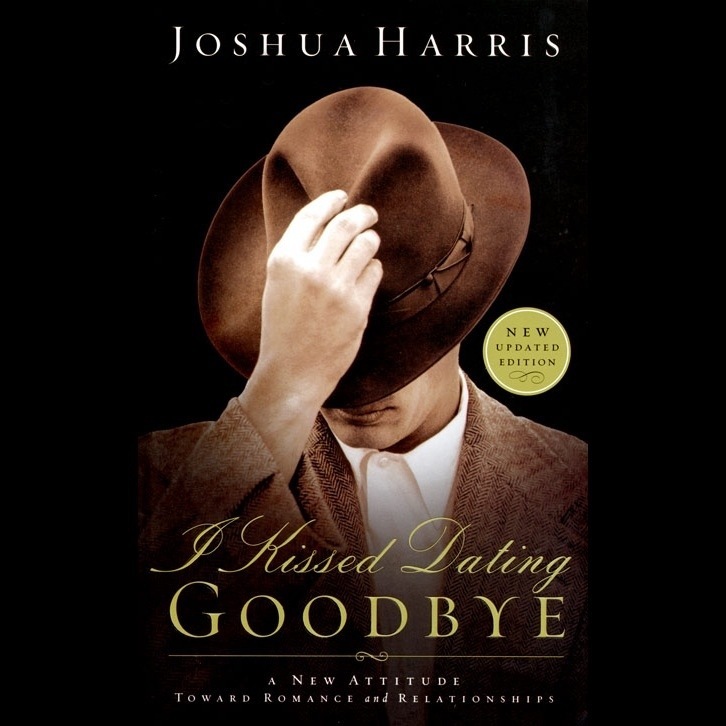 Few weeks back, I finally read Joshua Harris’ I Kissed Dating Goodbye. The book got my attention in the first few chapters. A lightning struck; I got hooked. Joshua shared his convictions with regards to dating – if he is not ready for intimacy, for marriage, he will not commit to be in a relationship with someone (even giving hints when there are times that he already got a prospect in mind). He is very ideal. The reason why he decided to choose this path is that he believes that this is what The Lord wanted him to do: to develop intimacy with God and to value relationships with the people surrounding him (not leading them to something that will become confusing and messy, but taking care of them like brothers and sisters). Joshua considers the plans of The Lord in stored for him and he is willing to wait while he is in the season of singleness in his life. He’s willing to sacrifice the good now in order to get the best later. While in his current season, he wanted to grow deeper in his relationship with God; exploring and obeying where The Lord has placed him to go, to reach out, to serve. When I was eleven years old, even when I got silly crushes, I was ideal as Joshua’s. While in the middle of reading his book, I found out, ten years after that I made myself vulnerable to compromise. I haven’t been in any relationships ever since although I got this certain person that I really really like and I always thought that if this guy will pursue me, I might say yes. As Joshua says, God placed in our hearts the desire to be in a relationship, to be in a commitment, but we should only do so at the right time, at the right place, with the right person. I always thank God that He never made this guy that I like pursue me. For one, thank God that the guy doesn’t like me the way I did for him; second, The Lord knows how deceiving my heart can be and I know that He’s protecting me. God will grant my desire of being in a relationship when he knows that I am ready. He doesn’t want me to settle. And I also know that I shouldn’t be equally yoke with an unbeliever. 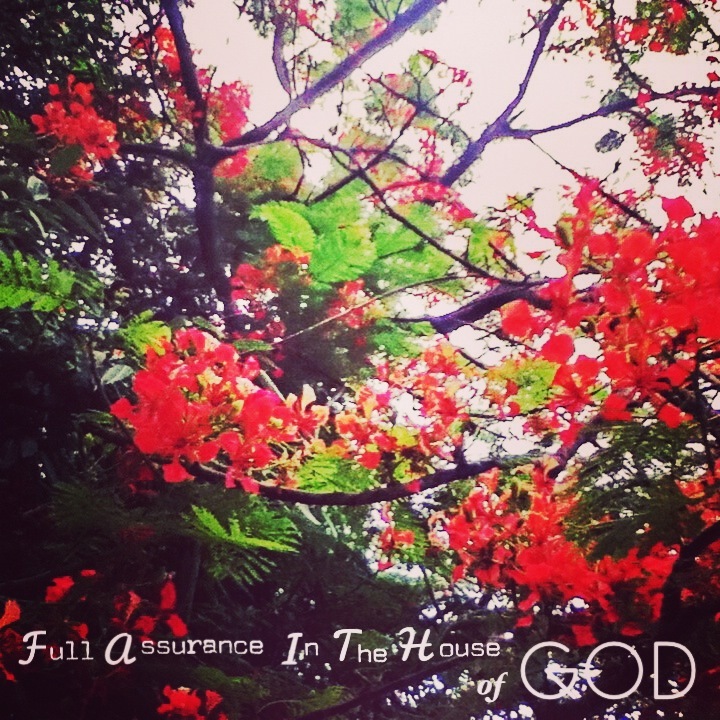 It is hard, yes, but focusing on God will make it easier for us. And I need, like Joshua and all of us Christians, to grow deeper in love with The Lord first and everything will just fall in its right pieces of the puzzle. I hated that the book revealed my petty desires for the things and persons that I wanted now. Dyahe. Haha. It is also the same reason, however, that I loved it because it speaks of the truth, of what we all should pursue of if we wanted to honor God in our relationships. I liked that Joshua pointed out our selfish tendencies when we like a person; how we always wanted to know if our feelings are reciprocated and if it were, we feel good. Most times, we only think about what good we can get and love is not like that. Love is thinking of what is best for the other person, it involves wisdom when to know the right timing to be with each other. Of course, it is easier said than done. But we always have to start with our choices. As the old saying goes, nothing worth-having comes out easy. Hustle while we wait! Lets not just stand here and do nothing. Lets serve God with all our might, focusing our undivided attention to him, seeking to pursue the joy of obeying our Master. Ladies, lets behave like a queen to attract a king. Don’t ever settle. And while we’re here, lets make the most of our time!